Increasing diversity has been a significant problem and an even bigger headline for the fashion industry over the past several years. The movement for fashionistas of different ethnic backgrounds and different body types has undoubtedly been getting their voice heard and change seems to be coming slowly and incrementally. However, a different face of diversity is now going viral. It is fashion the wheels! People with disabilities are flaunting their style on Twitter, and it is phenomenal. 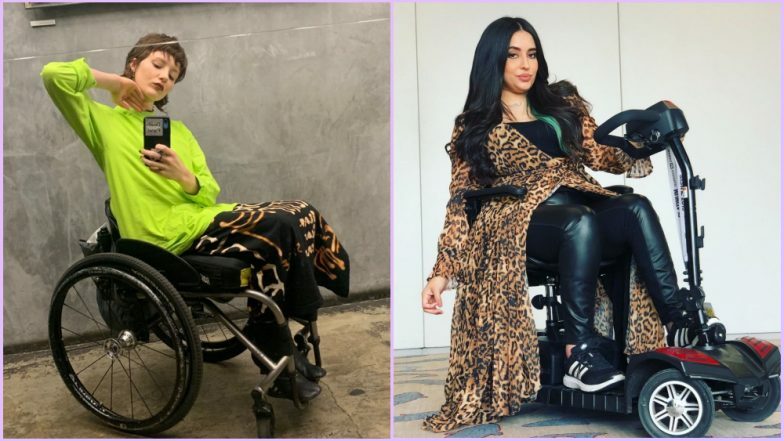 #ThisIsMyDisabledStyle features everything from fabulous colour coordinating to extremely bold patterns to bright made-up faces; the models have got everything giving some major fashion goals on the internet. #TransLooksLikeThis Goes Viral on Twitter With Transgender People Are Sharing Their Experiences for Not Being ‘Trans Enough’. It was initiated reportedly by a Mexican diversity, disability and inclusion advocate and activist Maryangel García-Ramos. On the tweet she writes, "So, I just saw an amazing photo of @Imani_Barbarin in such an amazing silver dress and that inspired me to want to see some cool AF disabled style for realz. #ThisisMyDisabledStyle. (Animal print, why not) Now show me yours!!" Soon, her tweet went viral with models sharing their style photos that are brave, beautiful and heartwarming. Fashion Designer Marc Jacobs Marries Boyfriend Char Defrancesco In An Intimate Ceremony. Slaying in an Animal Print! Some also shared how their aids can also work as a matching accessory and be a definite part of their style. Using the hashtag, many shared how they rarely dress up, which highlights the need for the visibility of persons with disability in fashion. García-Ramos was quoted in The Daily Dot report, post her viral tweet as saying, "The reason we do not do that it is because when it comes to fashion, we have little (although amazing) initiatives and representation of how a style could be or fashion should look like." She added, "Most of the time, our bodies are different, our thinking is different, and we do not fit the square standards of what 'fashion' or 'cool' is." Looking at the fantastic responses, García-Ramos said that she would start a similar thread in Spanish for her Mexican community. And we cannot wait to see beautiful models coming to the forefront, showcasing their style and breaking all the barriers boldly.